D-Link has launched the D-Link myPocket DWR-530 3.75G HSUPA mobile router. It’s a very portable mobile router measuring only 90mm x 50mm x 12mm and weighing only 77g. It also looks sleek and stylish with its black and silver color scheme. 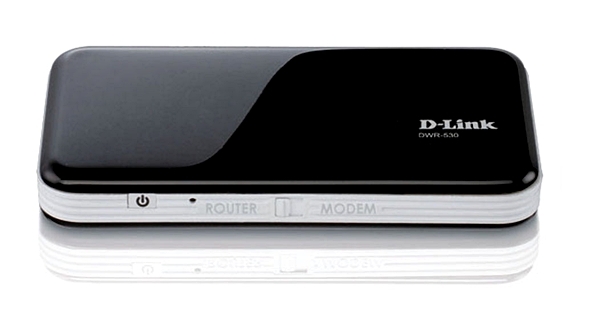 As a mobile router, the D-Link DWR-530 can support download speeds of up to 7.2Mbps and upload speeds of up to 5.76Mbps. This mobile router can be configured to work as a WiFi router or 3.75G USB modem with the flip of a switch. It also features a microSD card slot which extends the usage flexibility of the DWR-530. The D-Link DWR-530 can connect up to 6 wireless clients such as portable computers, smartphones and game consoles. It boasts of an advanced network security, with support of WPA and WPA2 wireless encryption, and a built-in firewall to prevent potential attacks across the Internet. The DWR-530 can be powered by a rechargeable lithium-ion battery, great for use in areas where AC power is not available. According to D-Link, the estimated operating time is five hours. I’m currently using TP-Link 🙂 Would like to know the SRP of this latest router. thanks.